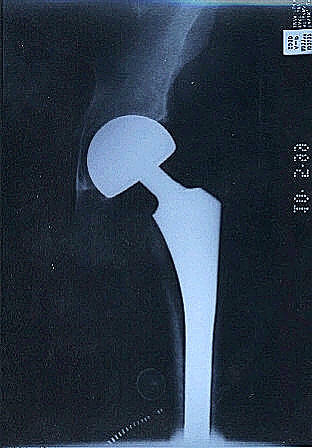 Hi Linda: I don't know if you have any stage 5 AVN hips on your site but here is my left hip before surgery. As you can see it is very bad and collapsed. 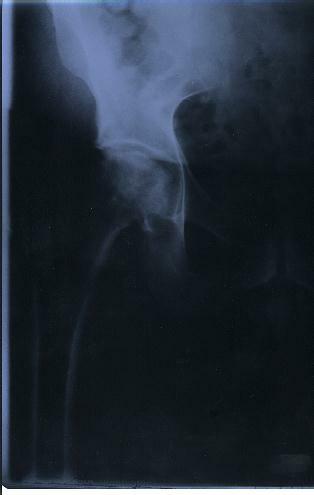 Hi Linda: here is a x-ray of my custom hip on my right as you can see I don't have a cup pounded in my pelvis and the socket was not reamed. That's what they call a free floating cup and the femur has a ceramic ball.